It's perfect for an afternoon pick-me up! This spiced chocolate concoction is an antioxidant, neurotrophic brain booster that delivers a palpable feel-good mental stimulus without the jittery crash of coffee. It also provides solid immune system and longevity support, counterbalancing and mitigating the physical depletion that often accompanies periods of stress and overexhaustion. The medicinal mushroom known as lion’s mane has been shown to induce Nerve Growth Factor (NGF) synthesis in nerve cells, supporting memory and the nervous system. Adaptogens are substances that enable the body to adapt to physical, mental, or emotional stress, restoring energy reserves at the mitochondrial level. With the pressures of modern life, adaptogenic herbs, roots, berries, and mushrooms can offer means to stay balanced and healthy. Ginseng, eleuthero, schizandra, maca, rhodiola, pine pollen, ashwaganda, astragalus, gynostemma, cordyceps, chaga, reishi, lion’s mane, milk thistle, tulsi (holy basil), aloe vera, gotu kola, moringa, bacopa, shatavari, amla, dong quai, and licorice root all have exhibited powerful adaptogenic properties. • In a medium mixing bowl, combine all ingredients and stir until smooth. • Set aside at room temperature for 1 hour; the mixture will set into a thick paste that can be spread in a layer on a plate or pan, chilled, and sliced like fudge. • Serve at room temperature as a dip for walnuts, sliced green apple, or celery sticks—or simply eat by itself like a chocolate pudding for dessert. 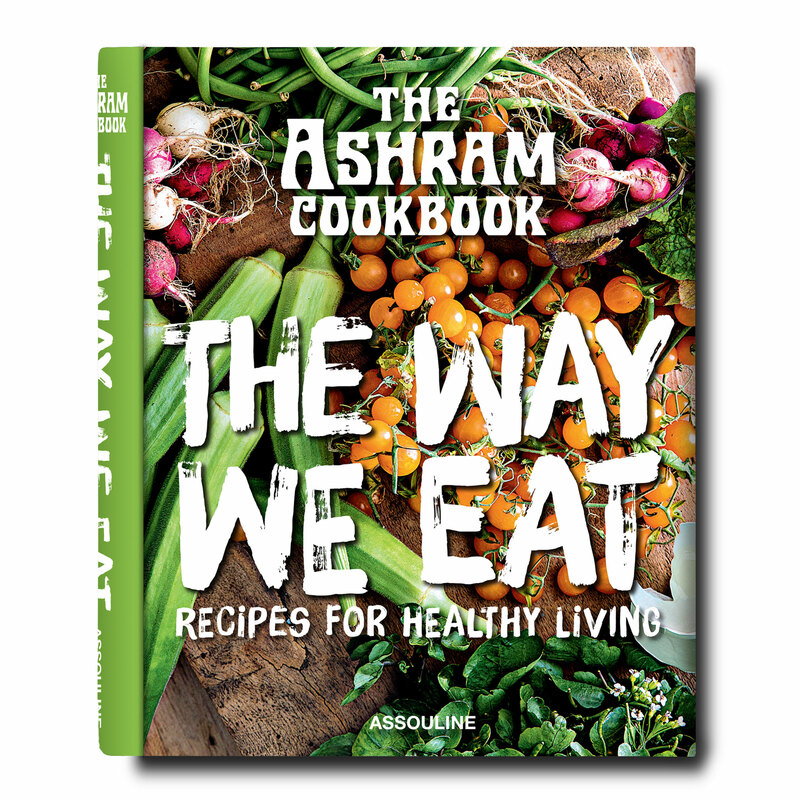 From The Ashram Cookbook: The Way We Eat by Catharina Hedberg and Suzie Spring Bohannon. Reprinted by permission of Assouline. Catharina Hedberg is the founder of the famed California wellness retreat, The Ashram and is the author of the just-released cookbook The Ashram: The Way We Eat by Assouline. She grew up in Sweden, where from an early age she enjoyed all outdoor activities and especially hiking in the forest, where seasonally she could collect berries, mushrooms, and other eatables that nature provided. These experiences awakened a deep appreciation for all natural ways of creating health in body, mind, and soul. After graduating with a Master’s degree in Physical Education and Physical Therapy, her adventurous spirit led Hedberg to create health programs around the world. In California, she met up with Anne Marie Bennstrom, a well-known Swedish pioneer in the health field. Sharing the same vision, they decided to open a small retreat to introduce a new natural concept of achieving great health on all levels, one guest at a time. Since 2005 when she first met the founders Suzie Spring Bohannon has felt drawn to the loving energy of The Ashram. They shared views on the transformative powers of hiking, laughter, and raw foods—and the joy that comes from sharing these gifts with others. Bohannon has developed a seasonal farm-to-table menu harvested from The Ashram’s organic garden, combining bold flavors, superfoods, and nutritional philosophies from around the world, providing guests with a culinary adventure. With a playful approach to nutrition, she recognizes that food nourishes both body and soul as well as our connection to others.